David Cameron's Conservatives have defied expectations and are heading towards a slim parliamentary majority, amid a devastating night for the Labour Party and the Liberal Democrats.In Scotland, the nationalist SNP completed a rout, taking 56 of the 59 seats in the region.Al Jazeera's Tim Friend reports. 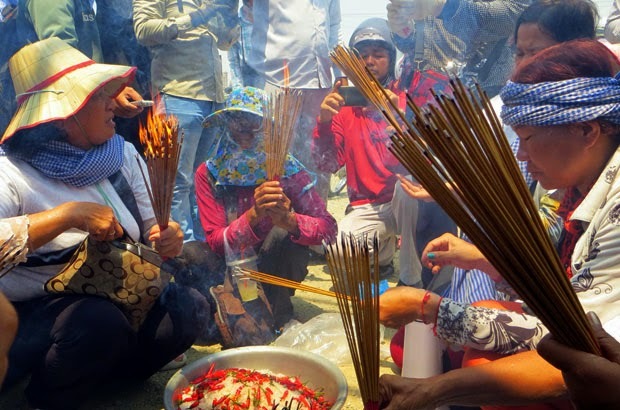 About 100 villagers and activists from the Boeung Kak community in the Cambodian capital held a Buddhist ceremony on Thursday to put a curse on a property development company building a project on their former land, and demanded that city hall pay them fair compensation for their losses. Villagers threw salt and pepper on the grounds of Shukaku Inc. to put a curse on it for “stealing” their land, said a representative of former residents of the community, who declined to be named. She added that she did not have any faith in the municipal government to help former Boeung Kak residents who had lost their land to the development company. Those who lived in the Boeung Kak community—a settlement that included nine villages surrounding a lake in Phnom Penh—have fought authorities for years over the eviction of thousands of families to make way for the development project that has yet to materialize. Another villager, Em Srey, said she had been forced to leave her home and got less compensation than others had received. “The company and the government worked together to take land from Boeung Kak’s villagers and refused to provide proper compensation,” she said. Some former villagers said they already had received more than U.S. $8,000 per family in compensation, but now they are demanding more money and a plot of land in the Boeung Kak area. The villagers, who also protested in front of city hall, clashed with municipal personnel when some protestors used a megaphone to address officials inside the building. No one was injured during the confrontation, those at the scene said. Some families at the protest are demanding as much as U.S. $20,000 in addition to money they have already received, arguing that others who initially refused the company’s first offer received higher amounts later. Phnom Penh City Hall spokesman Long Dimanche said the municipal government could not resolve the villagers’ demands, but would try to provide help for them at their relocation site. Ny Chakriya, chief investigator of the national rights group Adhoc, said villagers who have been relocated from Boeung Kak to another site have been unable to find proper jobs. “The villagers’ land dispute stemmed from an improper and unjust solution,” he said. Villagers previously argued that the development project, backed by Lao Meng Khin, a lawmaker from Prime Minister Hun Sen’s ruling Cambodian People’s Party, had caused flooding in the community. Several dozen families are still waiting for land titles owed to them after Hun Sen in 2011 reclaimed part of the concession awarded to Lao Meng Khin’s company Shukaku in 2007. Reported by Oum Rainsy for RFA’s Khmer Service. Translated by Samean Yun. Written in English by Roseanne Gerin. Exactly ten years after I first published this blog, today is the last day of publication. I would like to thank Radio Free Asia for the excellent content they have provided over the years. Without their cooperation and the hard, often dangerous work of their journalists, this blog could not have lasted so long. Yemen: What are African countries really doing in Yemen? What are African countries really doing in Yemen? When Egyptian president Gamal Abdel Nasser deployed tens of thousands of troops in Yemen in the mid 1960s for several years to support a nationalist coup modelled on his own, ‘It was a bloody and fruitless experience that historians call “Egypt’s Vietnam,”’ as The New York Times recently wrote. Will the current Saudi-led military intervention in Yemen of 10 mostly Arab, Muslim states – including Egypt – come one day to be known, for the same reason, as their Iraq? The other states are Bahrain, Kuwait, Qatar, United Arab Emirates (UAE), Morocco, Jordan, Sudan and Senegal. The campaign is rather perplexing and ironic, particularly for some of the African countries participating. Like Sudan. And especially Senegal, which is the furthest from the fighting. After Shi’ite Houthi militias overran the government of President Abdu Rabbu Mansour Hadi in March, he fled the capital of Sana’a to take refuge among his supporters in Aden in the south. Former president Ali Abdullah Saleh, who was ousted in the wake of the 2011 Arab Spring uprisings, and who is, like the Houthis, a member of the Zaidi-Shi’ia sect, joined battle against Hadi. Late in March, Saudi Arabia assembled a coalition of countries that began an aerial bombardment of Houthi positions to try to restore Hadi to power. Events seem to be following the usual dismal scripted path for this sort of intervention. Hundreds of civilians are being killed in the inevitably inaccurate aircraft strikes, along with some Houthi rebels. But aerial attacks are proving to be inadequate for defeating the Houthi and so the next step – an invasion with ground troops – is being contemplated. The coalition partners fighting in Yemen do not seem as reluctant as those participating in the aerial war against the Islamic State (ISIS) in Syria and Iraq to take the fight to the next level by putting boots on the ground. In fact there are reports that some special forces from the coalition armies are already on the ground in Aden, including some from Sudan. This greater commitment could mean either a greater chance of success; or a deeper quagmire from which they’d have to extricate themselves if even ground troops can’t defeat the Houthis. And, as in Iraq and Syria and Libya, al-Qaeda (through its al-Qaeda in the Arabian Peninsula franchise) and ISIS are exploiting the chaos to expand their influence. Saudi Arabia’s chief motivation for intervention was evidently to curb what it regards as the expansionist ambitions of its chief regional rival Iran, which it believes is behind the Houthi insurgency. Saudi Arabia regards itself as the leader of the Sunni Arab world, not least by virtue of its custody of the most holy Muslim places, Mecca and Medina, while Iran regards itself as the leader of the Shi’ite world. But there are varying views by analysts elsewhere on the extent of Iran's support for the Houthis. Richard Haass, President of the Council on Foreign Relations, told the BBC this week he believed it had been exaggerated. Nonetheless that appears to be Saudi Arabia’s perception; and defending Mecca and Medina against Tehran’s determination to seize these holy places has been a related reason given by coalition members. Annette Leijenaar, Head of the Conflict Management and Peacebuilding Division at the Institute for Security Studies, agrees that the Sunni-Shi’ite rivalry is a major factor in the war. Senegal gave a similar reason, and indeed the specific stated mission of its troops is to guard the holy sites, freeing Saudi soldiers for more active duty. Leijenaar suspects, though, that this is ‘probably just an emotional excuse to provide momentum for their support.’ Which is really to keep Iran at bay. Another important reason is the strategic importance of Yemen as the gateway to the Bab el-Mandeb Strait, a narrow waterway linking the Red Sea with the Gulf of Aden, through which much of the world's oil shipments pass. Saudi Arabia and Egypt particularly fear that a Houthi takeover would threaten free passage through the strait. This concern, as well as the need to thwart Iran, is what has motivated United States (US) support for the Gulf coalition, including the provision of military intelligence and airborne refuelling of aircraft attacking the Houthis. At quite the opposite end of the spectrum from the ‘holy’ justification for intervention (does defending Mecca and Medina qualify this campaign as a jihad? ), is plain money. Of the four African participants, at least three – Sudan, Senegal and Morocco – are suspected of backing the campaign mainly in exchange for large dollops of Saudi money. Senegal is undoubtedly the most unexpected – and the most recent – volunteer for military action in Yemen. It is indeed a majority Muslim country, but it is the oddest man out, being the only non-Arab nation and located right across the African continent. 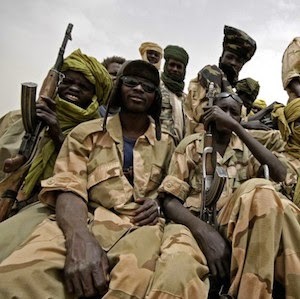 In an article this week on the BBC website, author Abdourahmane Dia says many Senegalese are sceptical about President Macky Sall’s decision to send 2 100 ‘jambars,’ as Senegalese troops are known, into this campaign – to protect Mecca and Medina. Many Senegalese are suggesting the real reason is that Saudi Arabia will invest heavily in the government development programme known as Programme Senegal Emergent 2035. Sudan’s participation in Saudi’s coalition is also puzzling in some ways, at least until one counts the dollars there too. The American online journal McClatchy, quoting Middle East analysts, reported this week that Khartoum had deployed special operations advisers to Yemen to support a Saudi-backed militia offensive launched over the weekend to seize control of Aden’s airport. McClatchy found considerable irony in Sudan’s growing involvement in the campaign (it had so far contributed a few old aircraft to the air offensive). One obvious irony was that Sudan previously supported Iran. ‘Until last year, Bashir had allowed Iran to supply weapons to its Houthi rebel allies in Yemen through facilities in Sudan.’ The other irony is that while the US is lending considerable support to the campaign in Yemen, Sudan, an increasingly active participant, continues to face US sanctions as a state sponsor of terrorism. There is also a hint of a mercenary motive for Morocco’s joining the coalition. According to Reuters, four countries of the Gulf Cooperation Council – Saudi Arabia, Qatar, Kuwait and UAE – which are heavily involved in the Yemen campaign, pledged US$5 billion aid to Morocco from 2012 to 2017 to help the North African kingdom to overcome ‘Arab Spring’ turmoil. Of the four African countries involved, the least African and most Arabic of them, El-Sisi’s Egypt, unsurprisingly, is the most logical participant in the Saudi campaign, defending much of the same political, strategic and sectarian interests as other Arab coalition members. Whether the Yemen intervention becomes the Saudi coalition’s Vietnam (or, more topically, Iraq), obviously depends on unpredictable military factors. Yemen is a tough battleground. When Saudi Arabia last intervened there in 2009 to fight the Houthis, it suffered more than 130 casualties in a few months. Over 80 Senegalese soldiers died in an aircraft crash during its intervention 24 years ago. In terms of moral and legal justification, obviously none of the participants in the coalition like the comparison with the US invasion of Iraq, which some of them, certainly Sudan, sharply criticised at the time. Nafie ali Nafie, a top figure in Sudan’s ruling National Congress Party, dismissed any comparison last month by saying the coalition had been invited into Yemen by the legitimate government of Hadi, while the US had gone into Iraq to topple the government. Yet this is also a military intervention without United Nations authority. In an article in The Nation journal, Farea al-Muslimi of the Carnegie Middle East Center, says that ‘the situation in Yemen now is a direct result of the actions of a number of international players.’ Al-Muslimi adds: ‘It is known that there has been intelligence and logistical support from Western countries for this war, yet there hasn’t been the same sort of response from them regarding the humanitarian crisis. Yet what about the countries and groups that are actually prosecuting the war and conducting the alleged violations of international law? Do they not rise to the level of political, legal and moral accountability? Exactly ten years after I first published this blog, today is the last day of publication. I would like to thank ISS for the excellent content they have provided over the years. Without their cooperation and the hard, often dangerous work of their journalists, this blog could not have lasted so long. 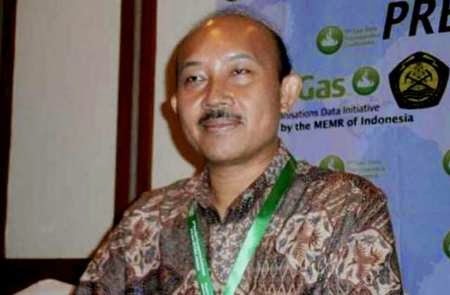 Kuala Lumpur, May 7, IRNA – Director General of Oil and Gas from Indonesian Ministry of Energy and Mineral Resources said on Thursday that Indonesia wants Iran to supply crude oil and build oil refineries in Indonesia. Gusti Nyoman Wiratmadja said that Indonesia is negotiating with Iran for importing crude oil and building new refineries in Indonesia. He added that cooperation between Indonesia and Iran is under consideration and the cooperation would not be excluded to crude oil. Wiratmadja said that Iran intends to build an oil refinery in Indonesia and added that it is expected such cooperation will encourage Indonesia to seek Iranian partnership for building four refineries in next 10 years. Meanwhile, Iran's Vice-President Mohammad Baqer Nobakht said during his visit to Indonesia that Iran agreed to export crude oil to the country and Iran will build an oil refinery and a power plant in Indonesia. The VP added that a high ranking delegation from Indonesia will visit Iran in current month of May. Exactly ten years after I first published this blog, today is the last day of publication. I would like to thank IRNA for the excellent content they have provided over the years. Without their cooperation and the hard work of their journalists, this blog could not have lasted so long.